Motto " Independence - Honesty - Objectivity " with a team of auditors , employees and collaborators of highly qualified and experienced professionals in the field , we believe that the customer will more satisfied with the quality of our service. Saigon Auditing Company Limited was established by the certificate of business registration number 0310230853by the Department of Planning and Investment of Ho Chi Minh City . 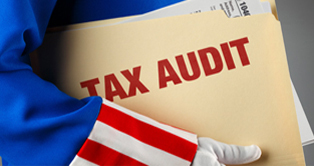 Activity of Saigon Auditing is to provide professional services in Auditing, Accounting , Tax Agents , Financial Consulting.